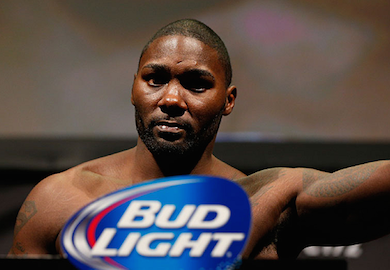 UFC officials announced today that a key light heavyweight bout between Anthony “Rumble” Johnson (17-4 MMA, 8-4 UFC) and Antonio Rogerio Nogueira (21-5 MMA, 4-2 UFC) will take place at July’s ‘UFC on FOX 12’ event in San Jose, California. 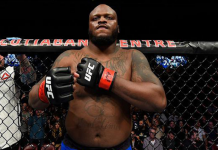 “Rumble” recently made his octagon return in the co-main event of April’s UFC 172 card in Baltimore, where he scored a lopsided decision win over perennial contender Phil Davis. 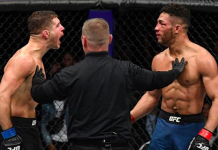 Johnson’s victory over “Mr. Wonderful” marked his seventh straight win and bumped him up to the #6 rank in the UFC’s 205-pound roster. Prior to re-signing with the UFC, Johnson went 3-0 while fighting under the ‘World Series of Fighting’ banner, scoring wins over Mike Kyle, Andrei Arlovski and D.J. Linderman. 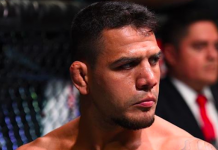 Meanwhile, “Lil Nog” has not stepped foot inside the octagon since a February 2013 victory over former UFC light heavyweight champion Rashad Evans at UFC 156. Nogueira was expected to rematch Shogun Rua at June 2013’s UFC 161 event in Winnipeg, but was forced off that card with an injury. “Lil Nog” was then linked to a scrap with Swedish slugger Alexander Gustafsson this past March, but once again was forced to withdraw due to a lingering back injury. UFC on FOX 12 takes place July 26 live from the SAP Center in San Jose, California. 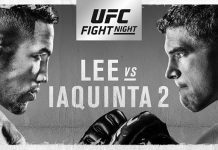 The main card is set to air on FOX, following the prelims which show on FOX Sports 1 and UFC Fight Pass. 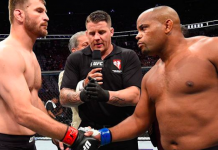 Who do you have winning this light heavyweight bout? Sound off Penn Nation!